Nominations for the Stars of Carrick Youth Awards 2015 are now open! 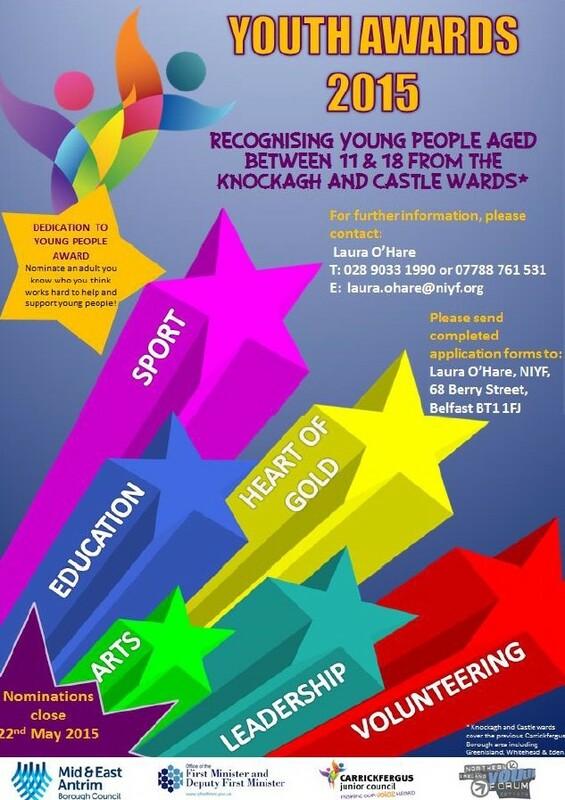 Nominate young people aged 11-18 from Carrickfergus, Greenisland, Whitehead and Eden for awards in sport, education, caring, arts, leadership and volunteering! Or do you know an adult who works tirelessly for young people in that area? Maybe a teacher, youth worker, coach or church leader? Then nominate them for a Dedication To Young People Award! Those shortlisted will be invited to the awards ceremony on 24th June.